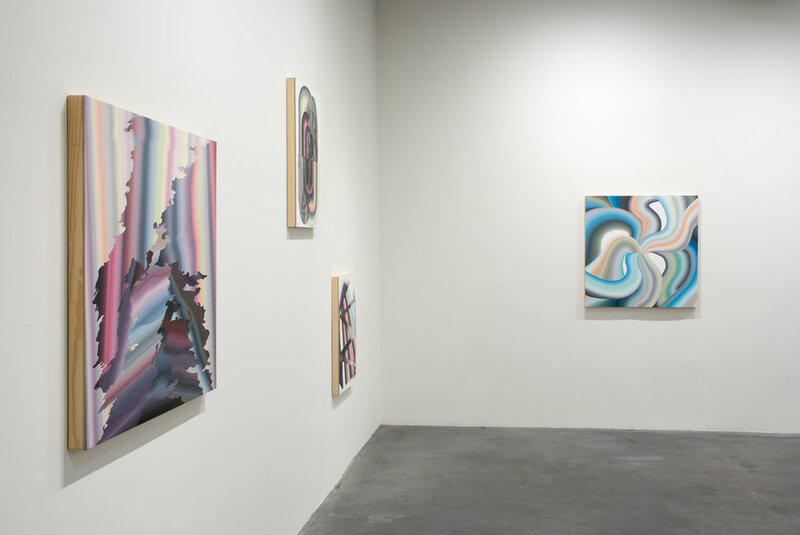 Moskowitz Bayse is pleased to present A New Sublime, an exhibition of new paintings by Justin Margitich. A New Sublime marks the artist’s second solo exhibition with the gallery. 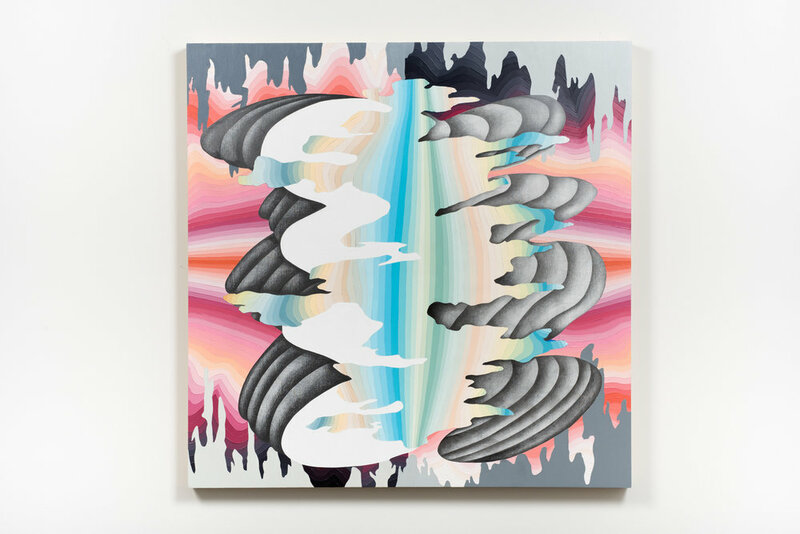 Justin Margitich meditates deeply on natural forms in a digital world. His paintings distill and fracture landscape, creating a formal language that challenges common perception of perspective and logical space. Margitich reconciles vanishing notions of idyllic landscape with our growing reliance on digital technology in a cohesive aesthetic act, creating a new sublime image. 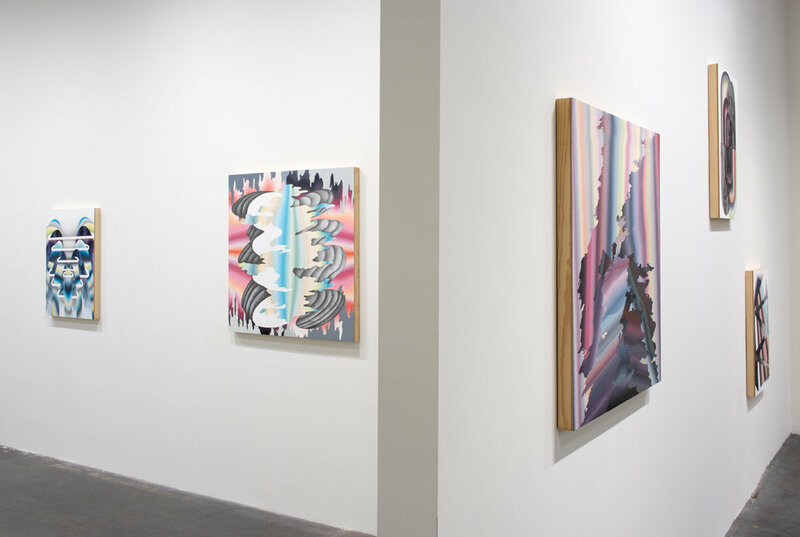 The exhibition consists of two related but distinct bodies of work. 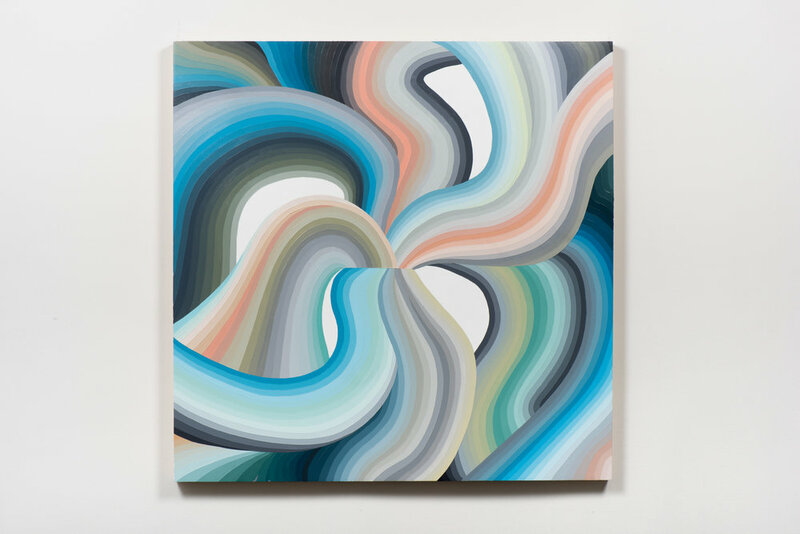 Pieces on panel painted with acrylic, heightened with graphite, express brightly hued linear gradients that both expand and contract in space; works on paper mounted to panel echo the wildly colorful line work, while adding the complexity of organically fluid forms. 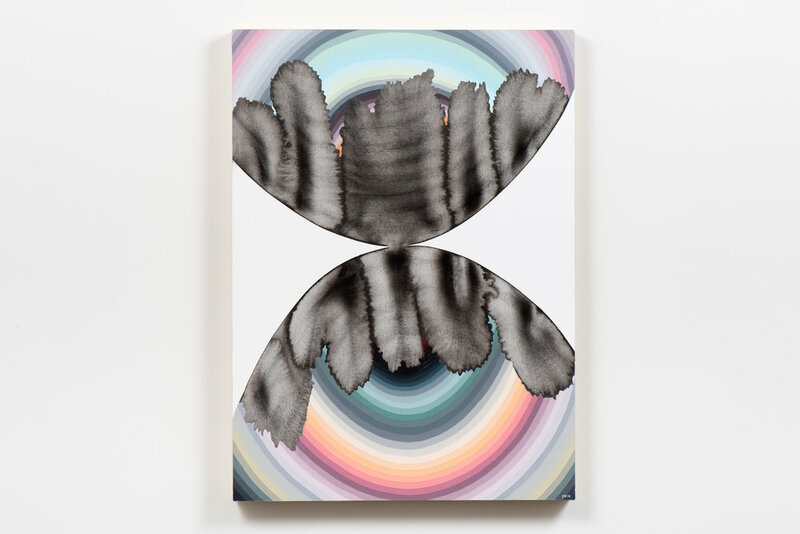 Across media, the artist’s compositions make use of a world of color that goes far beyond secondary and tertiary while simultaneously resisting muddiness, creating a near impossible balance. 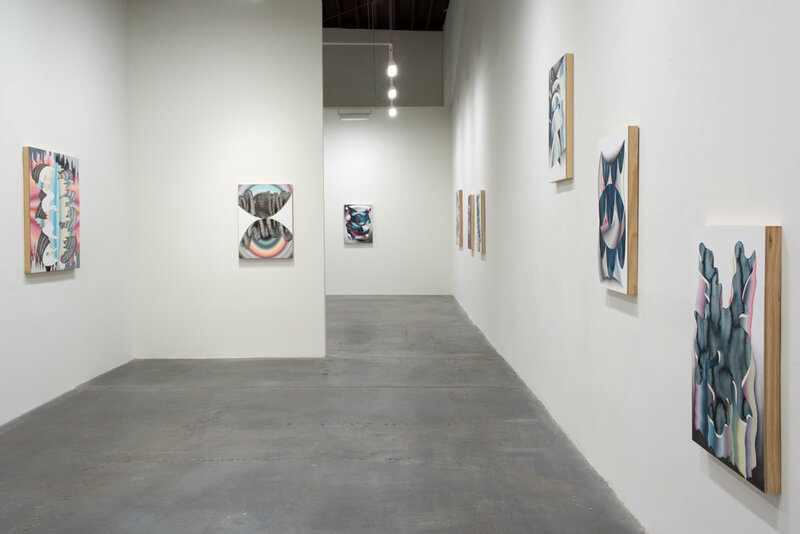 Together these paintings present a series of spaces unseen; bizarre and foreign vistas of arcane forms that resonate at once as eerily familiar and strikingly unknowable. Justin Margitich (b. 1984) received his BFA from California College of the Arts (CCA) in 2008, and his MFA from San Francisco Art Institute (SFAI) in 2013. He lives and works in Santa Rosa, California.